Fisherman's Bastion, Budapest's Cutest Sight! 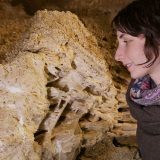 - Absolute Tours Blog: Walking tours, Private & Specialty Tours and more! 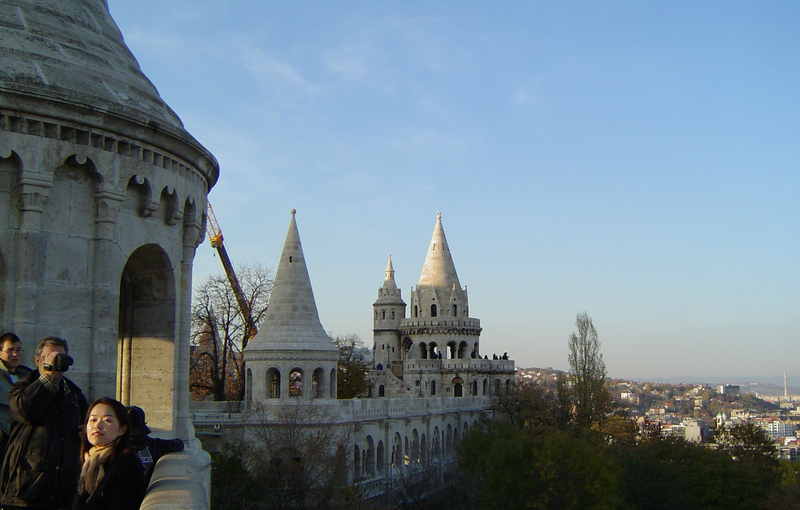 The Fisherman’s Bastion is part of the Buda Castle. It’s the set of 7 fairytale towers and connecting walls with a viewing platform above. 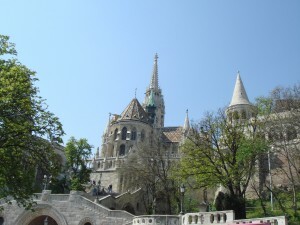 It sits just behind the Matthias Church and offers great views Northeast over the Danube and Pest. 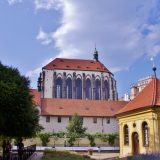 The construction was in 1899-1905 by architect Frigyes Schülek, and it was in a style complementary to the neighboring Matthias Church. As an aside, he also oversaw the restoration of this a few years before. 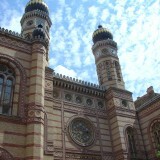 Its 7 turrets symbolize the original 7 tribes of Hungary. The bastion features a huge staircase, large window openings and is not actually defensible at all. 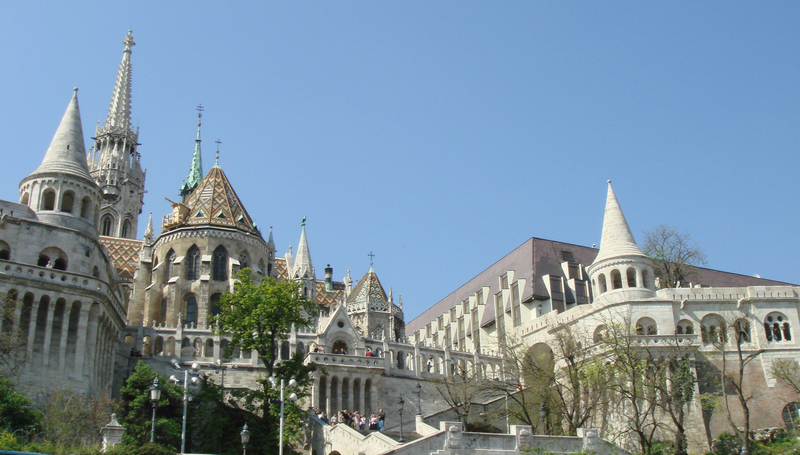 The building of these fanciful towers was as a monument to the fishermen of the Danube. It stands on the site of a rampart that was during the middle ages, defended by the fisherman who lived in “watertown” below. There was also a fish market here for a period. 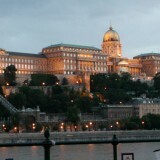 Here is one of the most iconic parts of the Buda Castle. And because it’s within easy reach of tourist coaches, it does start to fill with tourist as the day progresses. 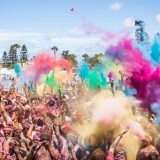 In order to avoid the crowds, either come early or late. At 8am, it would be just you and the pigeons, whereas by 9:30am, it is like grand central station. You have to pay to get up to the slightly better view from the upper platform (though the turnstiles are retracted and open during the night – another good reason to come before 9am or after 8pm) In the summer season, it can be nigh-on-impossible to shoulder your way onto the very small free viewing part of the bastion. This is because restaurants and various stalls selling Buda Castle (funnel cake) and commemorative coins are taking up most of the space. 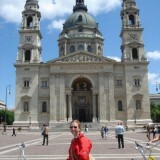 Still, the view out over the Danube is great. You can easily pick out the Margaret Bridge with its ramp off to the island. And a little further you can see the Parliament, St. Stephen’s Basilica, the Chain bridge, the great synagogue…well, the whole of Pest. Opening hours: Open all the time. Previous story Adam Clark Square – What on Earth?